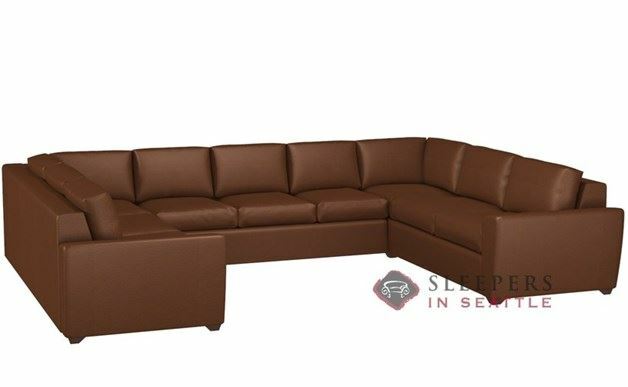 A company and customer favorite, the Geo U-Shape True Sectional with 3-Cushion Queen Sleeper Sofa by Lazar offers a sloped track arm and well-stuffed cushions for exceptional style and comfort. An Earth Designs product, the Geo will treat your family, guests, home and planet well! Available in a great set of custom options in our Design Center. So what kind of crazy person buys an 11K couch online. This kind right here. At first I was very, very reluctant to make this purchase. But after calling up Sleepers in Seattle three days in a row and talking David's ear off, I decided to take the plunge. I'm glad I did. This masterpiece is worth every penny. The leather is top grade, the seats are incredibly comfortable, the couch seats about 100 people. Last, but certainly not least, the pull out bed is pretty much as nice as a real bed. This couch is a serious investment but it really transformed our living room, and actually transformed the house by giving us another legit sleeping space. Thank you Sleepers in Seattle, for the excellent service and the excellent merchandise. 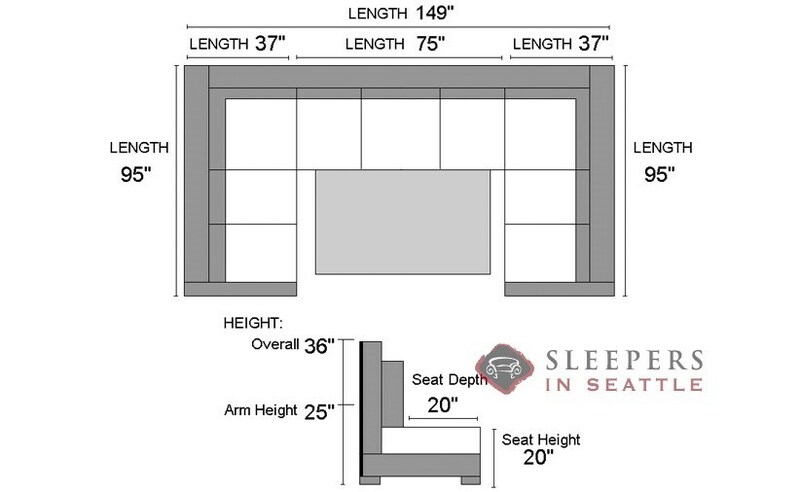 Indeed, this sectional includes a queen size bed!